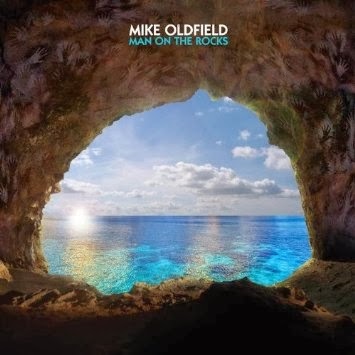 Home / Chart Watch - Britain / Mike Oldfield / Mike Oldfield Debuts at 12 in Britain With "Man on the Rocks"
Mike Oldfield Debuts at 12 in Britain With "Man on the Rocks"
Mike Oldfield returns to the British charts for the first time in six years with Man on the Rocks, his 25th studio album. Debuting at 12, it is his twelfth album to crack the top 20. It is also the only album by a veteran artist to debut in this week's Top 100 although older albums by the likes of Alanis Morissette, Green Day, Nirvana and Tracy Chapman did return in the lower half of the list. Pharrell tops the album chart with his new set Girl followed by Ellie Goulding's Halcyon, Bastille's Bad Blood, Avicii's True and the Arctic Monkey's AM. The singles chart is dominated by Route 94 Featuring Jess Glynne and My Love followed by Happy by Pharrell Williams and Rather Be by Clean Bandit Featuring, once again, Jess Glynne. Starship's We Built This City, often considered one of the worst records of the last fifty years, sits at number 25. The only other British chart topped by a veteran artist is the Country Compilation Albums headed by Keith Urban's Greatest Hits: 18 Kids.